Suzann Rainone mugged me while Fire Surfing last weekend. Originally published May 31st, 2009. She arrived after a four day tow from Richmond CA. She is bound for the Port of Los Angeles and life as a museum. This is a very good thing. A little over 4 years ago, The Wife and I signed up to be sponsor parents for the Academy. Sponsors act as a sort of home away from home for a midshipman, a refuge from life on The Yard. Yesterday, we watched as 4 of the most extraordinary young women we’ve ever met walked across the stage to receive their diplomas and took the Oath of Office as commissioned officers the Navy and Marine Corps (hoo-rah). A midshipman’s first, or Plebe, year is a tough, demanding ordeal, both mentally and physically. There is also almost no escape from it. The Plebes are only allowed liberty on a handful of weekends that first year, but whenever she was able, we brought her home for the weekend to relax. And wear something other than her uniform. One of the things we were told during sponsor orientation was “if you feed them, they will come”. How true that was. We love to cook, and are always looking for new things to try. By the end of Plebe year, we had 3 additional Mids making semi-regular visits to our home. The more the merrier. So much has happened over the past 4 years. Countless loads of laundry, dozens of trips to Brewster’s for ice cream, way too many episodes of Grey’s Anatomy (are you sure there’s nothing on the Military Channel you’d rather watch? ), rugby games followed by washing the team’s uniforms. Aggie had just learned how to walk when we med our mids on sponsor introduction day, and today marks her last day of pre-school. She has grown up with the mids, and thinks of them as big sisters. By the way, there’s nothing cooler than a sofa cushion fort made by a bunch of engineering students. The Pirate arrived towards the end of their junior year, and all the mids were so helpful in those chaotic first months. The Pirate is as comfortable with them as she is with us. I’d be remiss if I didn’t mention the mid’s “real” families, who obviously did all of the heavy lifting in raising these women. We got more out of this experience than you did, and we’d be more than happy to do it all over again. As of today, they are out of our nest, living on their own. Two have already left Annapolis and are en-route to their ships, one heads out the The Basic School in July, and the last departs in mid-August for Pensacola to begin flight school. That being said, there will always be room in our home and our hearts for them. 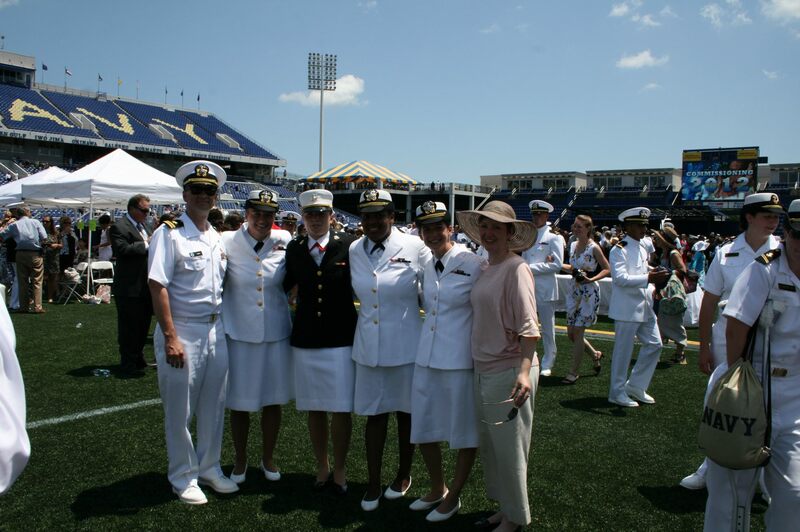 Congratulations to our “girls” and the rest of the USNA class of 2012. Welcome to the fleet! Following on from my little pictorially supported jaunt through Suffolk, somewhere below, I have scribed up a bit more about me getting to know the new motorbike. It’s over at my place. It also co-incided with the loss of a friend, the news of which I got this morning. Its a sad day, but at the same time I rejoice for him for reasons that will become obvious if you pop over to have a read. Cheers for now Chums, hope you enjoy the ride. Originally published May 30th, 2006.